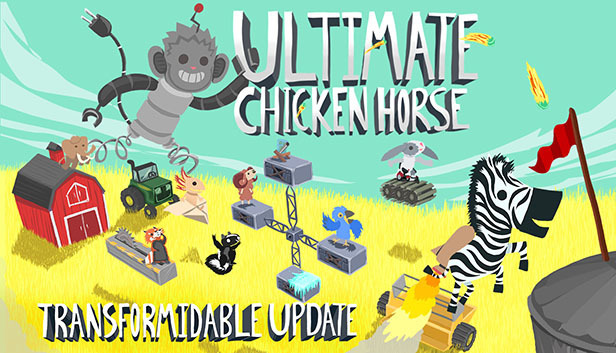 Ultimate Chicken Horse :: Transformidable Update is now LIVE! There's a ton of new stuff, including character reskins, jetpacks, modifiers, physics effects, post-death behaviours, block effects, and level effects! You can see images and gifs of many of these things on the website update page[www.cleverendeavourgames.com]. Awesome, I love the new update! Just need to get the new reskin for my favorite character! Okay this might take a while but I still like the update. Now you just need to make the game 2.5D! cross play for Xbox one? Amazing update ! Great dev team, one of the best multiplayer, so much fun with friends. Thank you !